I don't feel there is even any point in me writing this review! 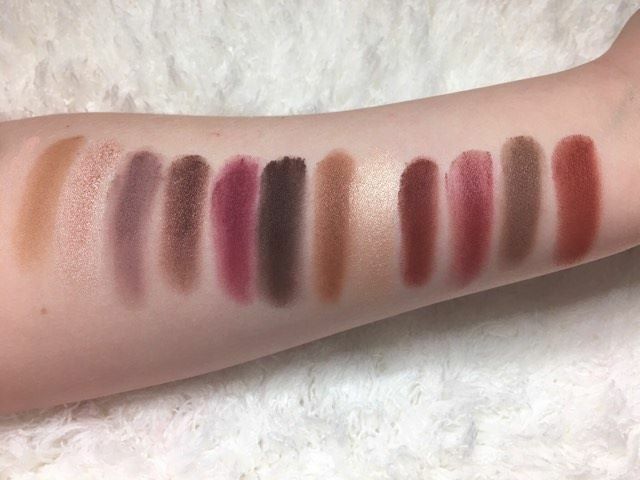 The pictures of the palette and swatches say all I need to. It is stunning! 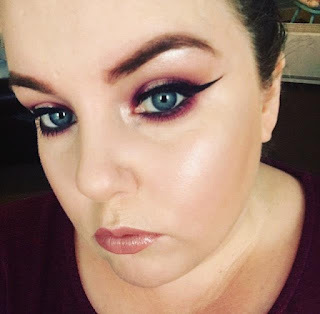 The Anastasia Beverly Hills Modern Renaissance palette has totally blown me away. 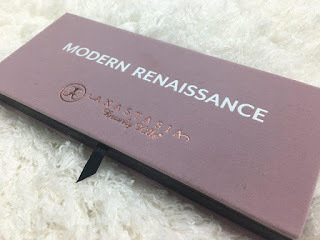 I have never managed to get my hands on any ABH eyeshadow palettes before as they have all been limited edition and sell out so fast. I was really excited when they announced this palette would be a permanent product in their line. Because of this, I was in no rush to buy it when it was released, especially when I was seeing lots of mixed reviews. In all honestly, I only eventually picked it up as I was making a Beautylish order anyway and noticed it was in stock. When it arrived and I finally got to play with it I instantly fell in love. I had obviously seen so many reviews of this palette that I knew the eyeshadow shades to expect but I wasn't prepared for just how beautiful they were or the amazing quality. Saying they blend like a dream doesn't even describe it properly, they basically do all the work for you. They are so pigmented and creamy to touch. You only need a tiny bit of product as these shadows are so pigmented but there is a lot of kickback when you dip your brush in so unfortunately there is some product being wasted. 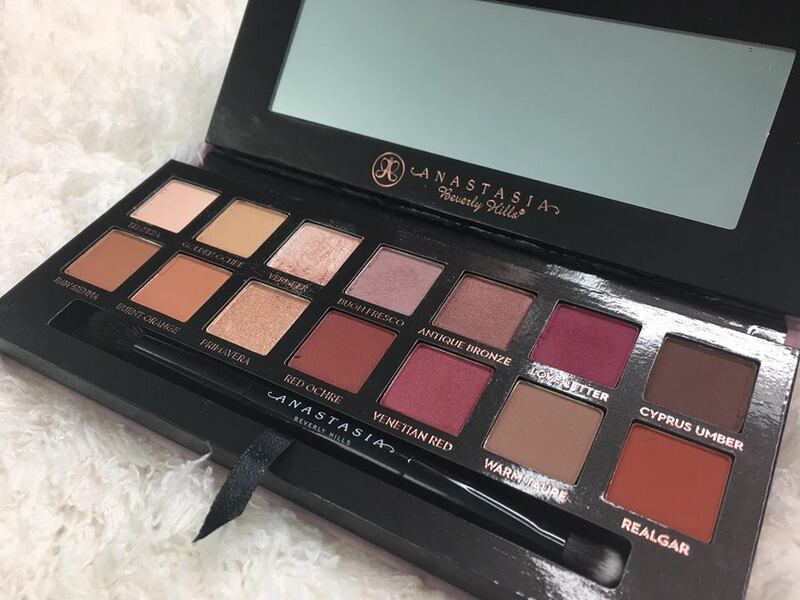 The packaging of this palette is beautiful but not at all practical and mine is already looking dirty which I hate. Saying that its a great size making it convenient for travel and easy to store with your makeup collection. I think the brush included is actually pretty decent unlike the useless ones you usually find in palettes. Its the perfect size for blending out shadow on the lower lash line. A lot of the reviews I have read about this palette compare it to the Huda Beauty Rose Gold palette, saying there are extremely similar. I have both palettes and the Modern renaissance beats the Rose gold palette by miles.The shadows are far more pigmented and blend so much easier. The packaging is also far more luxurious. I have been nothing but impressed by these beautiful eyeshadows and genuinely think its worth every penny! I cannot wait to create some more looks using it. If you are in the UK you can join the waiting list for this palette Here. (When in stock the palette will retail for £41). If you are outside of the UK the palette is in stock on the ABH website here for $42.